Camera settings. This includes static information such as the camera model and make, and information that varies with each image such as orientation, aperture, shutter speed, focal length, metering mode, and film speed information. Location information, which could come from a GPS receiver connected to the camera. 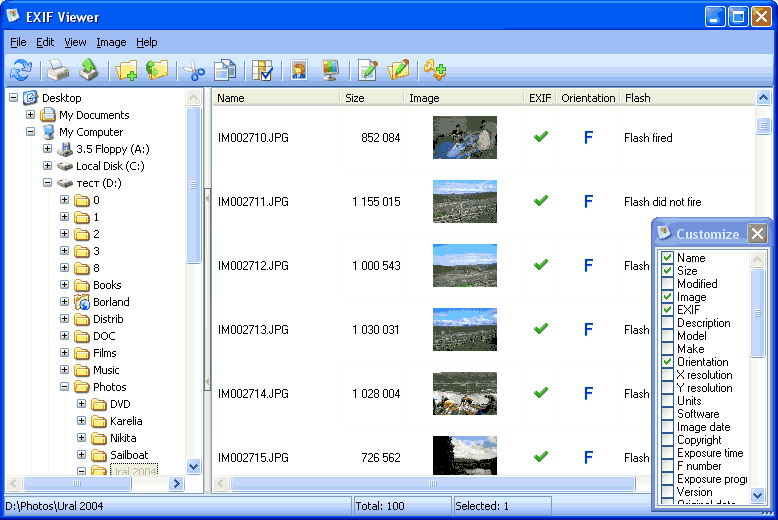 If you need to rename files by EXIF information use new most handy file renamer called VisualRenamer. For viewing or editing EXIF information try EXIF Viewer.